Manufacturer & Supplier of Mango Pulp for Juice. Our product range also comprises of Frozen Fruits, Frozen Corns and Exotic Fruits. 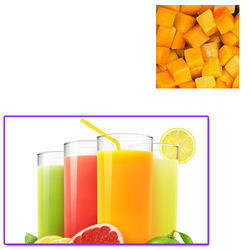 Being checked amongst the top most associations of the business, we are occupied with offering Mango Pulp for Juice. These mango pulp are produced using sound and crisp pulps of finely developed mangoes. Additionally, these mango pulp are exceedingly cost proficient in nature. Looking for “Mango Pulp for Juice”?